We warmly invite you to visit this amazing, bucolic setting only minutes awayfrom the small town of Ashland affectionately known as ~The Center of theUniverse.~ This house is like having the very best of both worlds: country-quietand very close proximity to the bustling city of Richmond.Located in Hanover County on the crystal-clear Stagg Creek, this masterfullyconstructed home has all of the amenities you could possibly desire. Nestled inVirginia woodlands dotted with hundred- year-old oak trees, loblolly pines,poplars, and dogwood trees in abundance, sitting on the screened-in back porchprovides a truly unique vista. It~s like having your own private treehouse. You~llsee hummingbirds arrive for their annual visits. Woodpeckers knock rhythmicallyagainst the hardwoods. Doves coo, and barred owls hoot their wisdom. You~lleasily spot deer dancing in the forest, foxes playing tag, and raccoonsmischievously exploring their territory. And that~s just the outside!Inside, you~ll enjoy a chef~s dream kitchen with state-of-the-art appliances, androom to entertain friends and the neighbors who enjoy living in this one-of-a kindenclave. Or, you can sit privately in the expansive living area and savor thetranquility. Sounds are limited to birdsongs and swaying leaves of the famous~sweet, Virginia breeze.~ Bedrooms have large closets and breath-taking views.The fireplace roars with the onset of winter keeping the house cozy for yourarrival from work. Trails abound on the property for exploring this vast ten-acrelot with your own eyes, or camera in hand. The gorgeous landscaping highlights apristinely kept yard with minimal grass-cutting, and many flowers to pick for yourcenterpiece or bedside table. There is a finished walk-in attic as well as a finishedwalk-out basement.Have your own peaceful sanctuary, close to the culturally-enhanced state capitalwhere museums abound and new breweries and fun restaurants are popping upeverywhere. 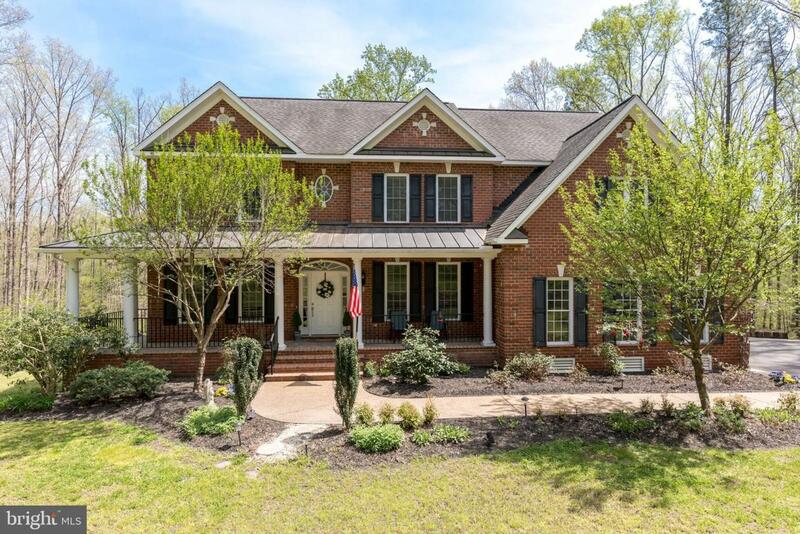 Sports opportunities are tempting year-round, and if highereducation is a factor, you~ll find some of the nation~s top colleges nearby--including Randolph-Macon College in Ashland.And yet, you can even further personalize this home. It remains a blank canvas.Add an infinity pool or greenhouse, and your dream home can be truly complete.Located right off of the South Anna River, this home is simply amazing. HanoverCounty public schools are top-rated and less than six miles away. There is aCountry Club within three miles, and many other nearby golf courses. You~ll passhorse farms witnessing champions galloping in the fields as you return to yourdream home.The price was just reduced to $647,500.